Traditional fired enamel, accessibly priced. 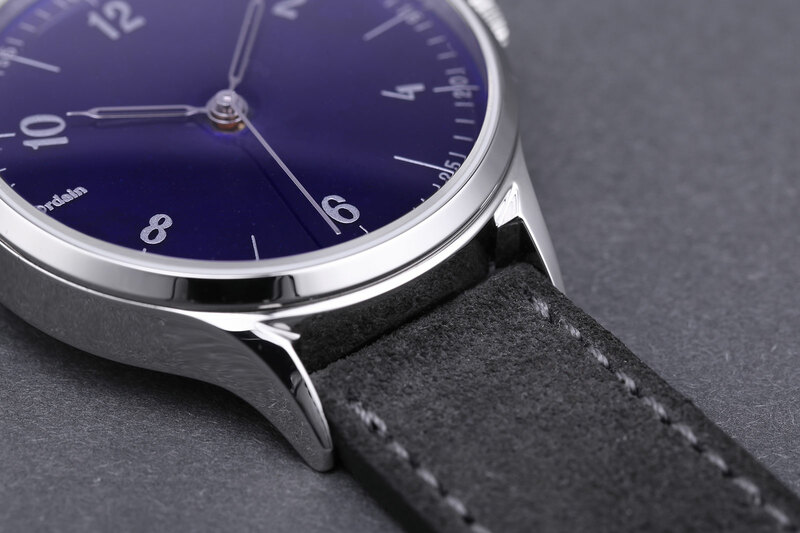 A watch startup run by six young people, anOrdain’s debut watch is a time-only automatic with a vitreous enamel dial, produced by the brand’s very own enamellers. 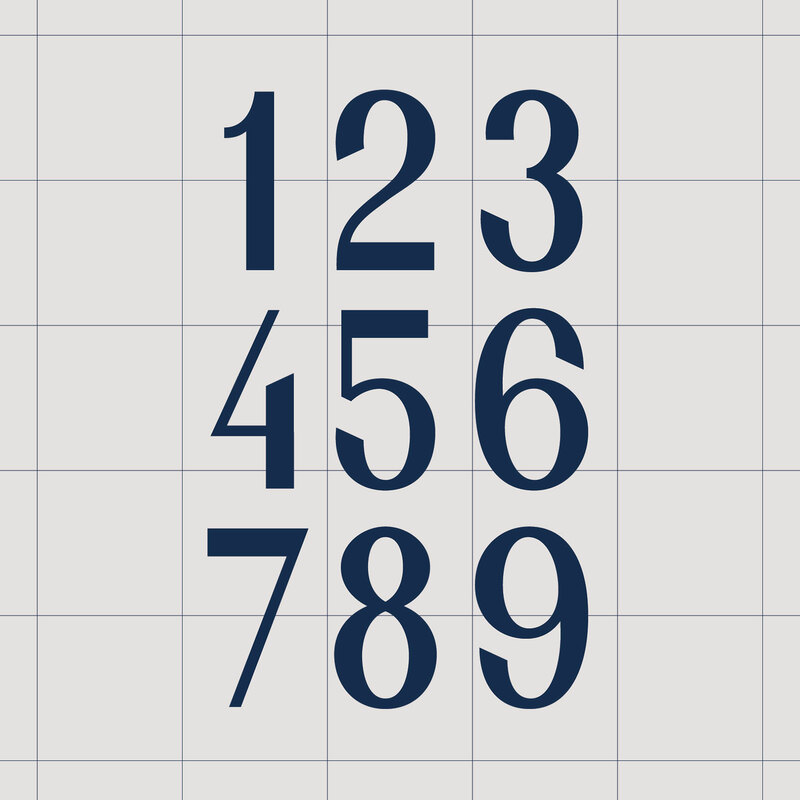 Based in Glasgow, Scotland, the brand gets its name from Loch An Ordain, a highland lake. 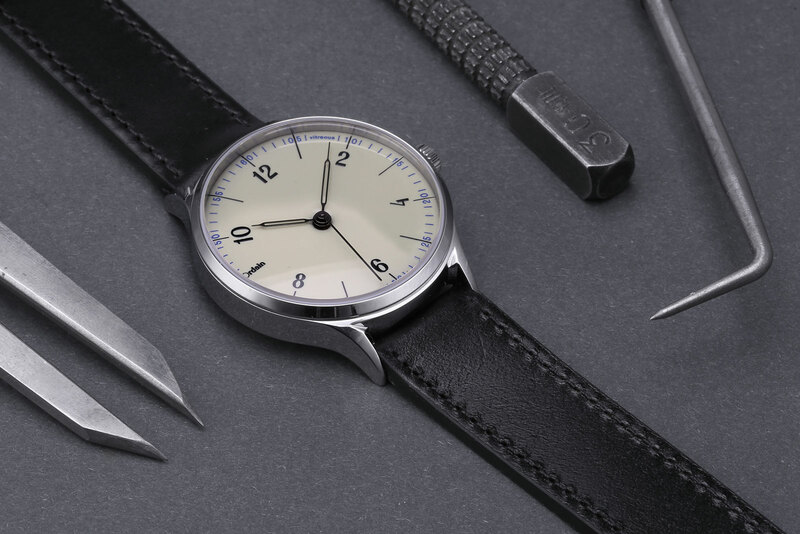 Though the watch is simple, it boasts several notable details, including a custom typeface for the hour markers based on old British Ordnance Survey maps. 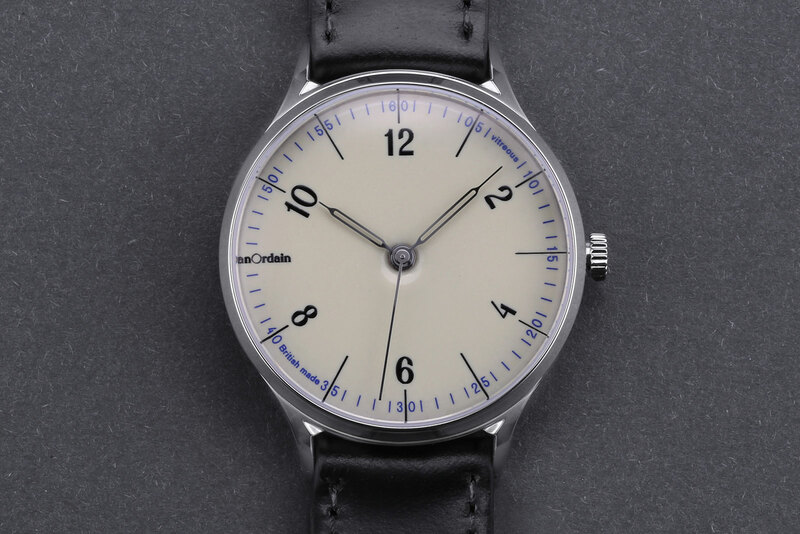 The dial is made of traditional fired enamel, or grand feu enamel in Swiss watchmaking parlance, which means the copper dial is first painted with ground enamel powder and then fired in an oven to melt the powder and set it. 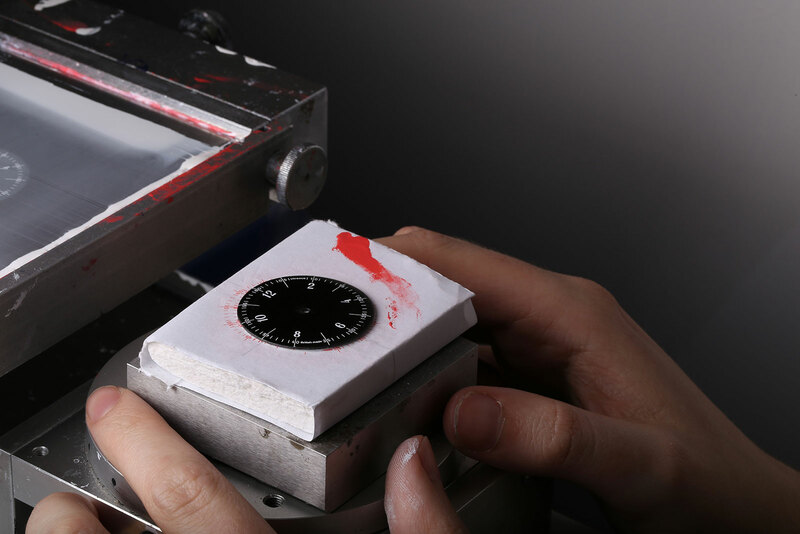 The markings on the dial are then pad printed on the glossy, translucent enamel. According to anOrdain, perfecting the enamel process took three years. 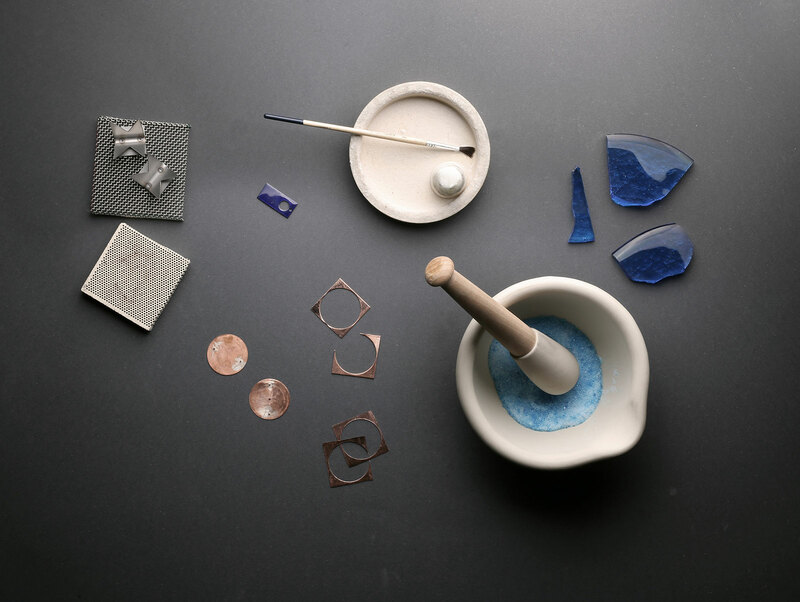 Now the two silversmiths responsible for enamelling produce just eight dials a week. The rest of the watch is made up of components from specialist suppliers, including an automatic SW200 movement from Sellita. 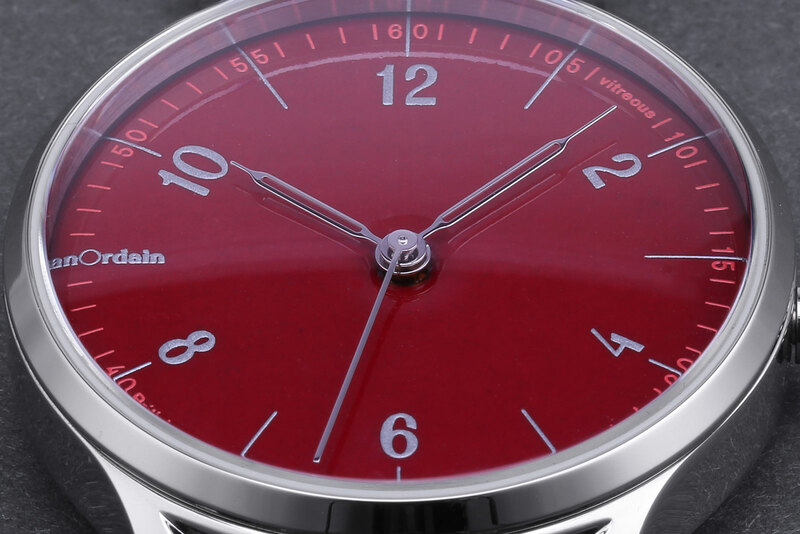 The steel case is 38mm in diameter and has a specially treated surface with a hardness of 800 Vickers, or about five times ordinary steel. And the hands are open-worked, syringe-type. 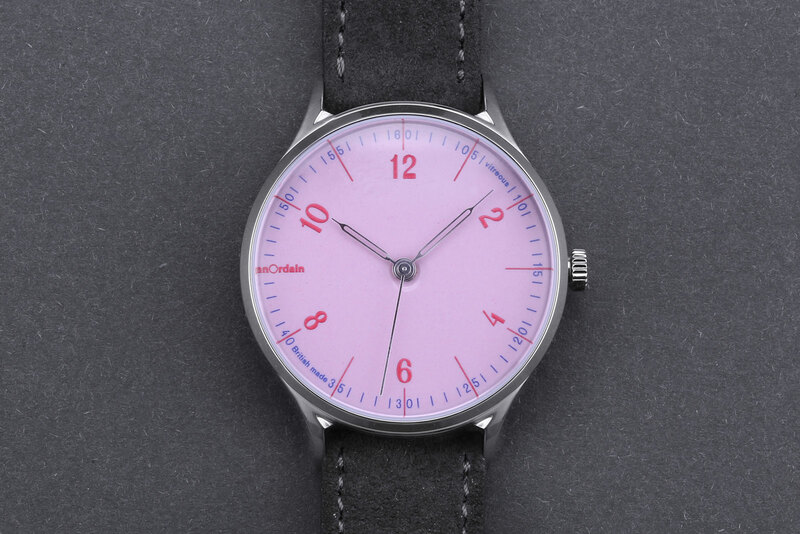 Five enamel dial colours are available, including the unusual pink and cream. 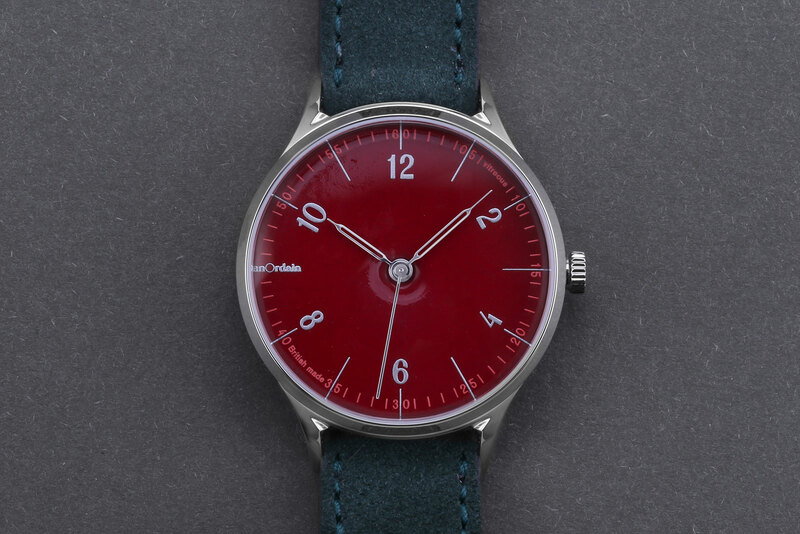 The Model 1, across all dial colours, is limited to 300 watches. The Model 1 is available direct from anOrdain, priced at £1050, which is about US$1360. Correction September 8, 2018: The Model 1 is priced in sterling pounds, and not euro as incorrectly written. 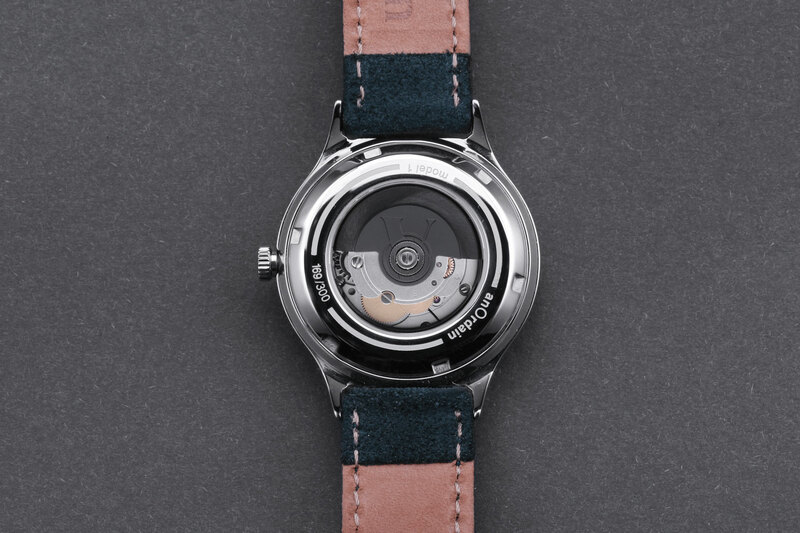 A boutique-only, limited edition of 10 watches in platinum with a grisaille enamel dial.